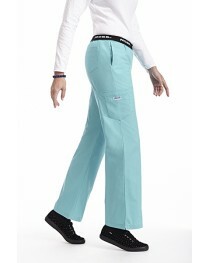 This scrub pant is simple with a twist. Features: Two front pockets and one back pocket. Drawstring .. The MOBB scrub short is easy and comfortable. Perfect for warm work environments. Features: an elast.. This pant is available in every MOBB color. The unisex style is made to fit everyone looking for a s..
With all the same qualities and features as the 307P like the combination drawstring and elastic wai..
Fabulous fit and classic style. This is the pant that everyone's talking about.Features: This f..
Fabulous fit and classic style. Features: This five pocket boot cut pant features our signature MOBB..
Fabulous fit and classic style for this five pocket boot cut pant. This is the pant that everyone's .. The Flip Flap Capri Pant fits and feels just like the 312P but makes a perfect addition to summer wa.. 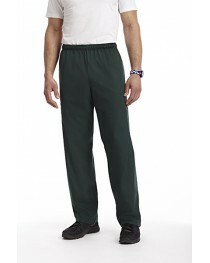 THIS SCRUB PANT IS GREAT FOR THOSE LOOKING FOR SOMETHING A LITTLE MORE FASHION FORWARD THAN THE TRAD..
Strong and versatile this pant is all business. Features: Six pockets including two expandable side .. This pant is the perfect combination of function and flow. Features: The waistband is both elastic a.. This pant is the perfect combination of function and flow. The waistband is both elastic and drawstr..